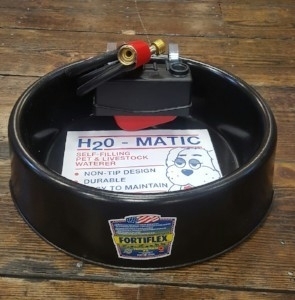 Automatic waterer for fresh cool water in the summer. Automatic Waterer easily attaches to garden hose. High grade plastic resistant to cracking and UV damage. Perfect for outdoors!